This article is authored by Servetus the Evangelical, a.k.a. Kermit Zarley. Visit his website ServetusTheEvangelical.com to read fifty such articles. They represent condensations of his well-researched, biblically in-depth, 600-page book entitled The Restitution of Jesus Christ (2008). In all three instances God is the speaker, whom Christians view as God the Father. But none of these narratives identify the “Us.” Many Trinitarians have claimed the “Us” are the other two members of the Trinity: the preexistent Jesus and the Holy Spirit. The four primary interpretations of the words “us” and “our” in Genesis 1.26 are as follows: (1) most Jews have interpreted them as God’s communication to a special group of angels who gather around God’s heavenly throne and constitute his royal court or council; (2) post-Nicene church fathers understood God the Father to be speaking to the other two members of the Trinity; (3) many commentators have regarded these words as a plural of majesty, which allows for Trinitarian belief but does not necessitate it; (4) God’s addresses himself. How one interprets this text usually determines how one treats the others, so that all three passages are interpreted the same. 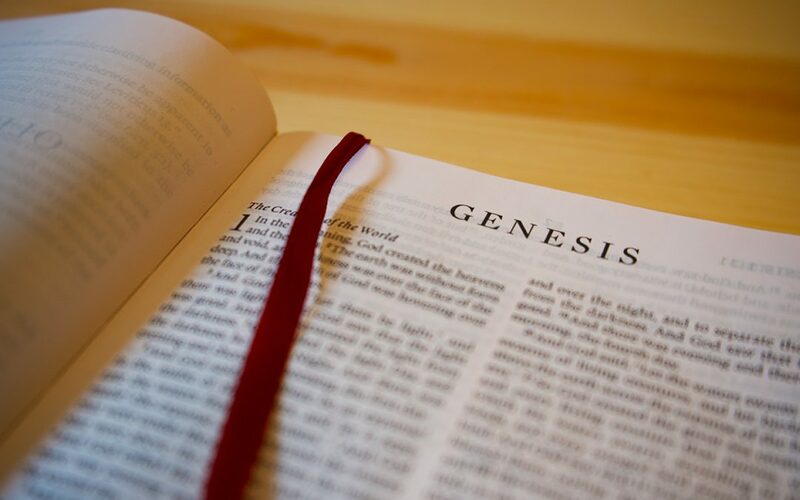 The “Us” in Genesis 1.26 cannot be the supposed other two members of the Trinity because it says God made man in his image. If God is a Trinity of Persons, then man, being made in God’s image, would have to be tri-personal as well. Since man is a uni- personal being, God must be a uni-personal being. The closest man ever comes to being tri-personal is schizophrenia, a mental disorder which does not reflect God. The word translated “God” in the Hebrew Bible is elohim, the plural of eloah. Elohim is often shortened to the proper name El. Elohim occurs about 2,570 times in the OT, either as a common noun or as a divine name. Most past Trinitarians insisted that elohim, being plural, indicates that God subsists as a plurality of persons. Besides, how could the most frequent word for God (except YHWH) in the Hebrew Bible accommodate a Gentile notion that God is three persons? That contradicts strict monotheism. And it seems presumptuous of Gentiles to tell Jews what Hebrew words mean. Few church fathers knew Hebrew, and their theology suffered from it. Scripture attests that the Most High God meets regularly with a court of angelic advisors. The psalmist tells of “the assembly of the holy ones,” describing Yahweh as “a God greatly feared in the council of the holy ones, and awesome above all those who are around Him” (Ps 89.5, 7). Job twice says of some angels, “the sons of God came to present themselves before the LORD” to give an account of their activities (Job 1.6; 2.1). This hierarchy of delegated responsibility is like human government. There is no support in the OT for most of the proposed explanations: the royal “we,” the deliberative “we,” the plural of fullness, or an indication of a plurality of persons in the Godhead…. The only theory that uses the language of the OT itself is that which claims God is here addressing the heavenly court, as in Isa 6:8. That God was believed to consult with spiritual creatures in heaven is revealed by the scenes described in 1 Kgs. 22:19-22 and Job 1:6–2:6. Hence the consultative “we” has support from other texts, and it fits both the Gen. 1:26-27 and 3:22 on the assumption that Israel believed there were creatures in the heavenly realm (“the host of heaven,” 1 Kgs. 22:19) whose identity had something in common both with God and with human beings. The familiar objection that angels could not have participated in creation is a theological judgment about what is possible in heaven. In my book, The Restitution of Jesus Christ, I devote 14 pages to this question. In doing so, I cite 32 scholars and their works as well as various ancient writings.